Rock your sweetie to sleep with this beautifully crafted Sleepy Times crochet baby blanket. The cozy and mellow design makes this crocheted piece the perfect napping companion! This pattern is a great project for intermediate crocheters to work on. Once finished, the crocheted blanket should measure approximately 25.5 inches wide and about 32 inches long. In metric measurements, the completed baby blanket should have a width of around 65 cm and a length of approximately 81 cm. This crochet pattern is another wonderful design by the talented team over at Drops Design. 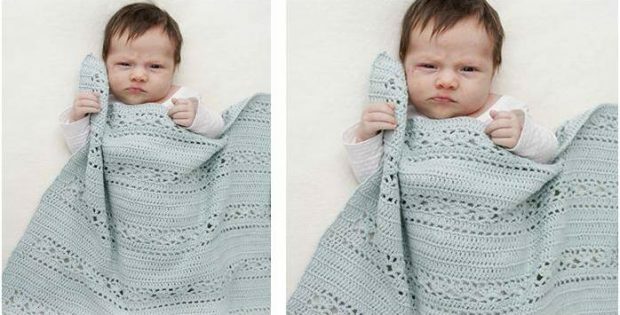 In fact, you can access the FREE pattern for this comfy crocheted lace blanket from their website.